Nu-Vision Painting Service is an award winning company that takes pride in professional workmanship and quality products. We can happily guarantee all work and regard client satisfaction as our number one priority. We would love the opportunity to quote your upcoming painting work and may even be able to offer your assistance, whether it is colour consulting, project ideas or budget management. Our fields of expertise include residential interior and exterior painting, commercial work and government projects. P & T Barras Painting is a family owned Perth based residential and commercial, interior and exterior painting company. Dedicated to meeting client expectations by delivering excellent service and quality craftsmanship. After more than 32 years in the industry our company offers you services that are of the highest standard and at extremely competitive rates. We are also members of the Dulux Accredited Program, Housing Industry of Australia, Master Painters & Decorators Association. We pride ourselves on maintaining our reputation for reliability, quality and professionalism. Our team are fully trained and willing to work flexible hours and will tailor your project to suit your needs . We are a small Painting & Decorating business located in Mirrabooka, Perth WA 6061 covering majority of Perth metropolitan. Our ultimate goal here at Baretta Painting is to provide the residential, commercial and industrial sectors with quality protective, decorative coating services Nation wide. We pride our self on customer satisfaction, in fact based on our surveys, majority of our workflow is via word of mouth. I (Bilal Bill Baretta) owner of this small business have been providing Painting & Decorating services for over 10 years alongside my fellow employees. Quality workmanship, Environmentally adaptive, extra attention to detail and creativeness are just a few aspects of standard protocol at Baretta Painting Services. Since 1990, our commitment and passion for what we do, has netted us several awards, including the Master Painters Award, for excellence in residential painting and a heritage award for restoration and painting. This is complimented by a professional service and our focus on your interests. With the aid of our site foreman and qualified Tradesman, your project will run smoothly knowing there’s helpful advice whenever you need it. We are based south of the river and service metro & regional areas. 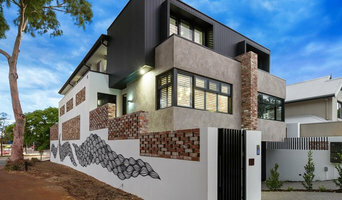 Perth Premier Painting Contractors have been transforming homes and buildings to their former glory in a professional manner for decades. We sincerely believe we offer West Australian families and businesses an exceptional service at an affordable price. We stand behind the work we do and believe in integrity, commitment and professionalism. Perth Premier Painting is a WA owned and operated family business, our family is here to look after your family. 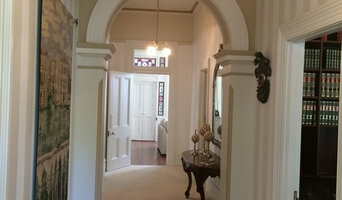 Perth Painters Interior & Exterior Decorators, specialising in Western Suburbs of Perth and surrounding suburbs. Over 30 years in Residential and Commerical painting. 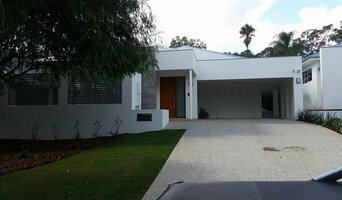 Trusted by Perth's top real estate agents to prepare their clients homes for sale. Wide range of experience including Residential Internal and External Painting, Commercial & Industrial Interior and Exterior Painting, Handyman Maintenance of Homes and Rentals, Home Pre-Sale Preparation. If painting your walls or installing wallpaper aren’t your favourite jobs, it’s very well worth considering hiring a professional for it. Not just for the obvious time-saving, but there’s actually more to a good paint or wallpaper job that you might think! Whether you’re looking to paint your bedroom or living room, you’re always starting from the all-encompassing question of which colour to paint your walls or which wallpaper to choose. The next challenge is selecting the best product for your needs. And don’t even mention the work involved in preparing the wall and applying the paint so it lasts. If you’re looking for a professional house painter or wallpaper installer in East Perth, Western Australia you’ve come to the right place. You’re sure to find the best painter for your job in the Houzz professional directory. Here on Houzz, you’ll also find East Perth, Western Australia professionals who can create a more creative wall design for your home, including wall murals or custom wallpaper. Murals drawn by an artist will often require a large space, but it’s worth investigating if you’d like a one-off feature wall every visitor will remember. If you’re after advice rather than application, here you’ll also find colour specialists that can help you in your quest for choosing the right paint colours or wallpapers for your abode. 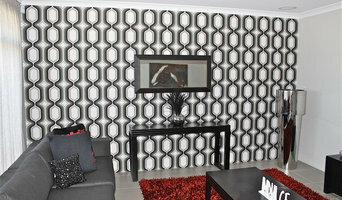 Scroll through this page to find painters and wallpaper installers in East Perth, Western Australia. You can browse their latest projects, read reviews to see how other homeowners rate their work, and message them directly.